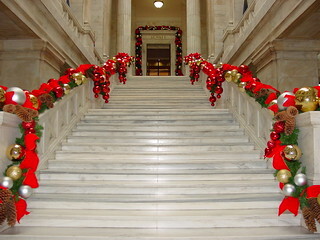 Governor Asa Hutchinson and members of the Arkansas legislature will collect gifts for children in the state's foster care system between 11 a.m. and 1 p.m. today, Thursday, December 15, in the Old Supreme Court Room of the State Capitol. Please bring your gifts unwrapped. © 2013 Arkansas Senate. All Rights Reserved.